The study, of more than 9,600 U.K. adults, found that those who were obese typically had a lower volume of gray matter in the brain than their normal-weight counterparts. Gray matter contains most of the brain's nerve cells -- whereas white matter contains the fibers that connect different parts of the brain. Past research has linked gray matter shrinkage to a heightened risk of future dementia. However, researchers cautioned that they cannot draw firm conclusions from these latest findings. The study only found an association and does not prove obesity, per se, causes gray matter to shrink. And it didn't follow people long-term, said lead researcher Mark Hamer. "Since we have only measured gray matter volume on one occasion, it's hard to interpret whether the differences are clinically meaningful," said Hamer, a professor at Loughborough University in Leicestershire, England. 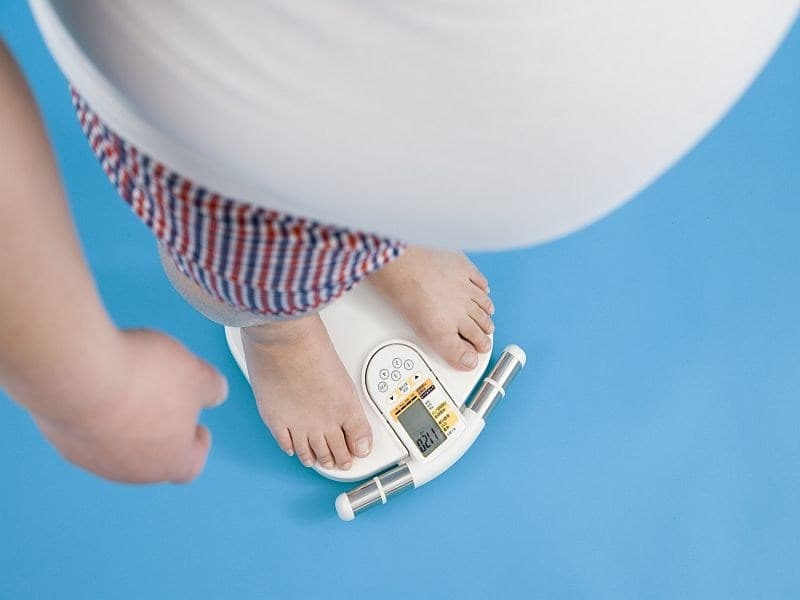 A number of studies have looked at whether obese adults have any greater risk of eventually developing dementia and come to mixed conclusions. Some have found no correlation, while others have suggested extra pounds may either bump up the risk of dementia or lower it. But there is a possible explanation for the discrepancies, said Claudia Satizabal, an adjunct assistant professor of neurology at Boston University. People who eventually develop dementia, she explained, can start to lose weight five to 10 years before symptoms become apparent. This can muddy any relationship between obesity and dementia risk. That's why it's important for studies to look at earlier indicators of dementia risk, such as brain volume shrinkage, said Satizabal, who was not involved in the new research. "This is a nice study," she said. "Dementia is a long process, and this looks at a trait that happens along the way." The study included 9,652 people who were 55 years old, on average; 19 percent were obese. Overall, obese men and women generally showed lower gray matter volume on MRI brain scans, versus normal-weight participants. The largest gray matter reductions were seen in people who carried much of their excess weight around the middle. The differences showed up in several brain regions, including ones involved in regulating behavior and movement, the researchers said. Why would obesity have any relationship to brain size? Hamer pointed to one possibility: Obesity and its related health conditions -- like high blood pressure and type 2 diabetes -- can damage the heart and blood vessels, which may affect blood flow to the brain. His team did account for whether study participants had heart disease, diabetes or high blood pressure and whether they smoked, drank alcohol or got regular exercise. Even then, obesity itself was linked to a lower gray matter volume. That suggests there could be other things going on. Another possibility, according to Satizabal, is that excess fat itself has an impact. Fat tissue releases various hormones and metabolic byproducts that may affect brain health, research suggests. It's not yet clear whether obesity, at least in middle-age, is a risk factor for dementia. But, Satizabal said, "more and more evidence is going in that direction." Hamer pointed to the bigger picture -- that obesity is an established risk factor for a range of other medical conditions. Given that, he said, "people should strive to maintain a normal body weight." The study was published in the Jan. 9 online issue of Neurology. The Alzheimer's Association has more on lifestyle and brain health.